There are many reasons why the Kremlin is worth a visit. The Moscow Kremlin is a symbol of Russia and one of the greatest architectural complexes in the world. The 36.4 hectare ensemble of the Kremlin has been included in the UNESCO World Heritage List. Its architectural history may be divided into the three periods: the wooden Kremlin (dated back to the 13th century), the Italian Renaissance Kremlin and the modern Kremlin. The Russian poet Lermontov had this to say of the Kremlin in 1833, 'What can compare to the Kremlin which sits on a high hill like the crown of sovereignty on the brow of an awesome ruler. No! ', he went on, 'neither the Kremlin, nor the walls, nor its dark passages, nor the splendid palaces can be described. They must be seen, they must be seen!'. The street plan of central Moscow forms an impressively ordered pattern of concentric circles, clearly marking the city's development outwards over the centuries. In the middle of this great Catherine wheel is the Kremlin, the fortified hill which formed the heart of the ancient city, and which to this day houses the political HQ of the planet's largest nation. 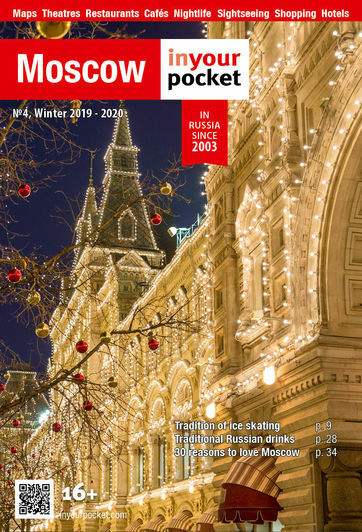 Within the world-famous red walls nestles a collection of buildings of various architectural styles, ranging from ancient Russian ecclesiastical, through Romanov imperial classicism, to 1960s Soviet modernism. While much is out of bounds to tourists, being part of the Government and Presidential estate, there are easily enough treasures open to the public to make the citadel an essential conquest. Unlike Napoleon, who stayed here after his forces took Moscow in 1812, you will need a ticket to enter. There are a number of ticket booths, the most important being located in Alexandrovsky Sad (on the west side of the Kremlin), which in itself is a great people watching place. Having bought your tickets, leave any large bags in the cloakroom located near the ticket office, under the gate. A "Kremlin Territory" ticket gets you into the site itself, along with all of the cathedrals and the more ancient buildings. To visit the Kremlin Armoury (where all the sparkly diamonds, jewels and so on are stored) you must buy a separate — and considerably more expensive — ticket, which will have an entrance time on it. This ticket can only be purchased before you enter the Kremlin. Note that some buildings — in particular the Patriarch's Palace — sometimes host special exhibitions, entrance for which you must pay extra. The tickets for special exhibitions can usually be bought at the entrance to the buildings in which they are held, although it is advisable to check before you enter the Kremlin.